One of Bologna's best known companies was founded in 1926 by Antonio Cavalieri Ducati and his three sons, Adriano, Marcello, and Bruno. In their small laboratory they commercialized several inventions of Adriano, who was a pioneer in short wave technology and the first to send a message from Italy to the U.S. Originally known as the Società Scientifica Radio Brevetti Ducati, the company soon became widely known for its innovative radio parts, calculating machines, and vacuum tubes. It expanded so quickly that a new factory was built in the Borgo Panigale in 1935, employing some 1200 workers. They continued to work through the war, until the factory was bombed in October 1944. By 1946 it was back in business, although by 1948 it was no longer managed by the Ducati family. That same year the company began to collaborate with the SIATA firm in Turin, which had invented the small, four-stroke Cucciolo ('puppy') motor to attach to bicycles. 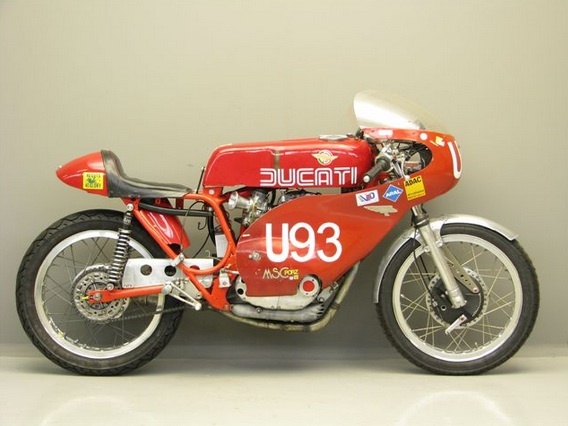 In 1950, Ducati started to produce its own Cucciolo and Cruiser bikes; in 1954, the company split into an electronics firm (now Ducati Energia SpA) and a Ducati Meccanica SpA, devoted to motorcycles. Designer Fabio Taglioni (1920–2001) was key to Ducati's success in the 1950s, building the first racing bikes (Ducati's motto would be 'win on Sunday, sell on Monday') and developing the three key features that set Ducati apart from its rivals: the desmodromic valve design (1956), the L-shaped twin-cylinder engine (1971), and the trellis frame (1979). The company went through various owners; today it's owned by Lamborghini, which is owned by Audi, which is owned by Volkswagen. The newly refurbished museum located in the Borgo Panigale factory, tells the story with historic, unusual and famous race winning motorcycles, along with the stories of their drivers. Unmissable for members of the world's 400 Ducati clubs, who are given special treatment on the Saturday tours. Adm €15, €10 on Sat and for Ducati owners with an ownership card; under 11s free. Factory guided tour and museum €30, €20 over 65s and Ducati owners, under 11s free.